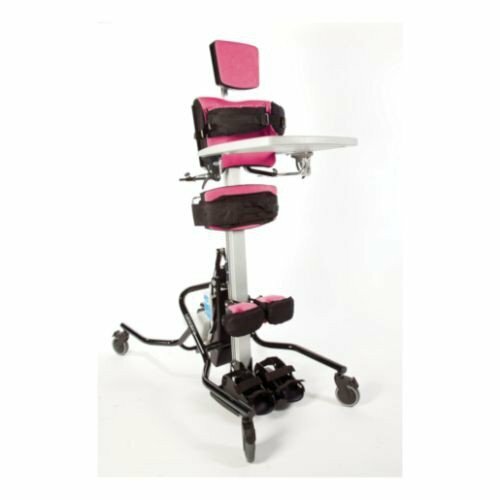 The Leckey Horizon Stander is child stander designed for patients, toddler to adult, who need postural support to maintain a standing position. 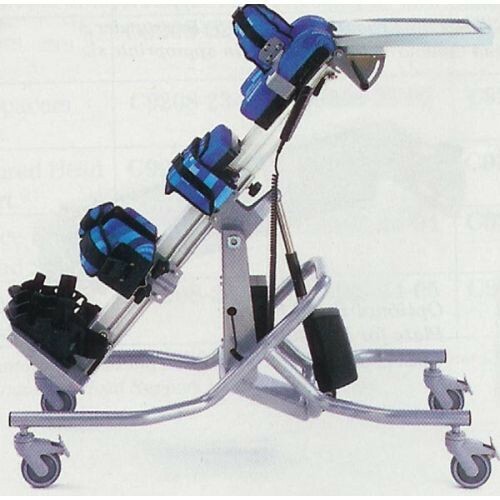 This unique stander manufactured by Leckey ensures support and security during standing therapy without being too restrictive. It can be used at home, in the classroom, or in a therapy setting. Standing therapy for individuals with limited mobility is important for a number of reasons. It increases bone density which reduces the risk of fractures. It gives the patient an opportunity to stretch their muscles and prevents spasms and cramping. Standing also gives the diaphragm more room to expand and contract. This helps the patient improve breathing and voice control. It also aids in digestive processes, bowel function, and bladder drainage. Standing therapy relieves pressure that is placed on the pelvis while sitting down. This can protect the integrity of the skin by preventing shearing and pressure ulcers. It has been proven that standing therapy improves the flexibility of the hamstrings, which allows for an increased range of movement. Patients who engage in standing therapy have improved blood circulation and blood pressure. Standing also helps the patient engage socially with peers and improves alertness and an overall sense of well-being. The Leckey Horizon Stander is reliable and durable. 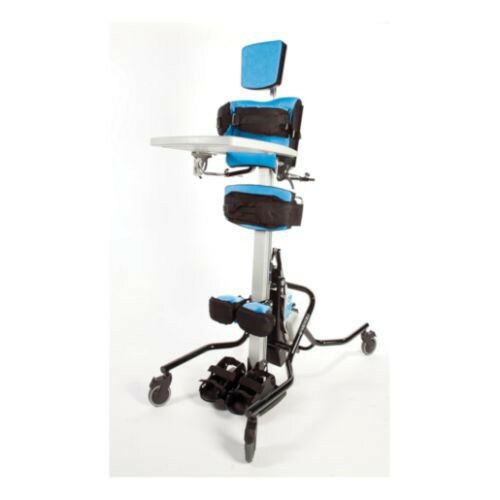 It has a variety of adjustable features that allow the stander to grow with the patient. 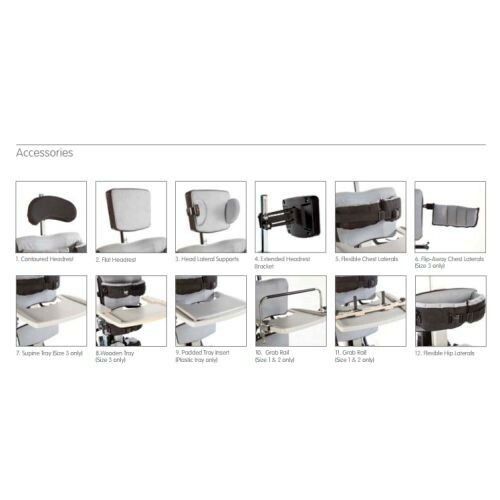 The adjustable features also make it possible for the stander to be used by multiple people. It is easiest to transfer the patient to the stander while the stander is in a lateral position. The flip-away laterals make it easy to lower the patient onto the stander from the hoist. A pelvic belt is then applied that aligns the pelvis while preventing pelvic rotation. 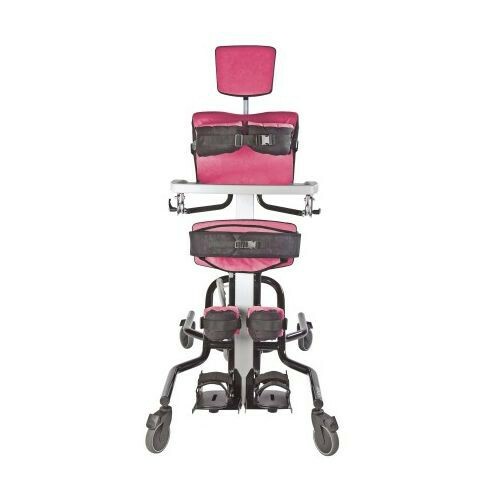 The stander has adjustable chest and hip pads along with adjustable knee brackets and foot plates. 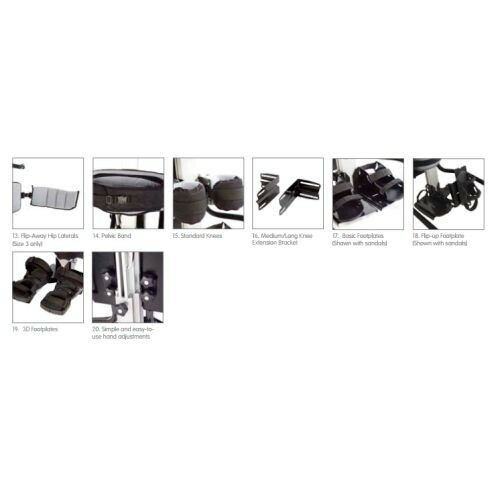 These adjustable features help to promote knee and hip flexion. Non-slip adjustment knobs make it easy and fast to adjust features, allowing the stander to be used by different patients. Some additional features of the Leckey Horizon Stander include a contoured head support with lateral adjustment, 3D footplates for varus and valgus flexion, and an angle indicator that is easy to read. The stander also comes with a convenient controller and handset. The controller has an indicator light that displays how much charge is left in the battery. The horizon has a built-in disabling system that prevents the product from working before the battery is completely dead. The charging point is easy to access and the control box has an emergency stop. Max Width Between Chest Laterals 11.8 Inches -15? to +10? -15? to +10?